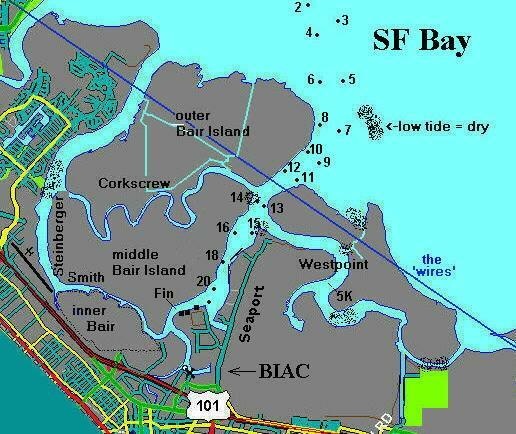 Our Waters | Attention: Bair Island & Corkscrew Slough Status! BIAC offers access to the port, shipping channel, and beautiful sloughs that comprise and surround Bair Island. Our waters are great for recreation, training, and ecotourism. Experiencing the tranquility of these wetlands is best appreciated from human-powered water craft. 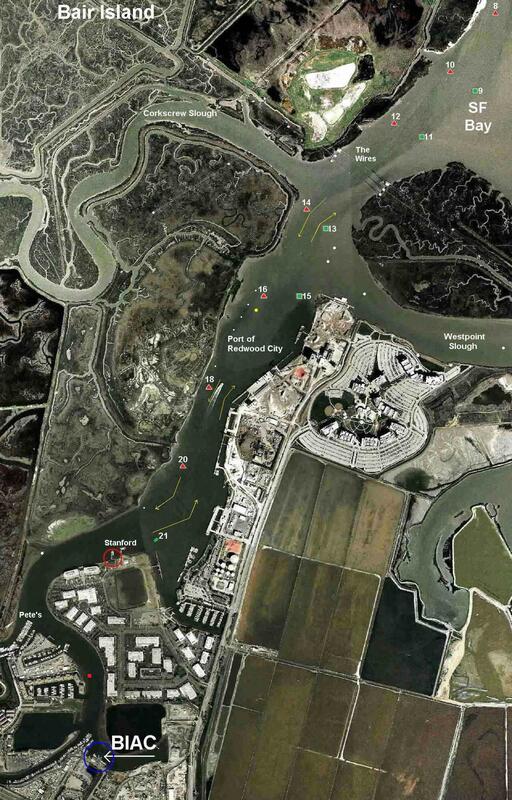 This satellite photo shows some of our waters, particularly the channel that we share with the Port of Redwood City. Click on the image for a detailed view. As a reference, from BIAC to "The Wires" is about 2.5 miles. Bair and Greco Islands - a satellite markup. The numbers on the photograph and the map below show the Port's channel markers. Green ones are odd-numbered and square shaped while red markers are even-numbered and triangular. 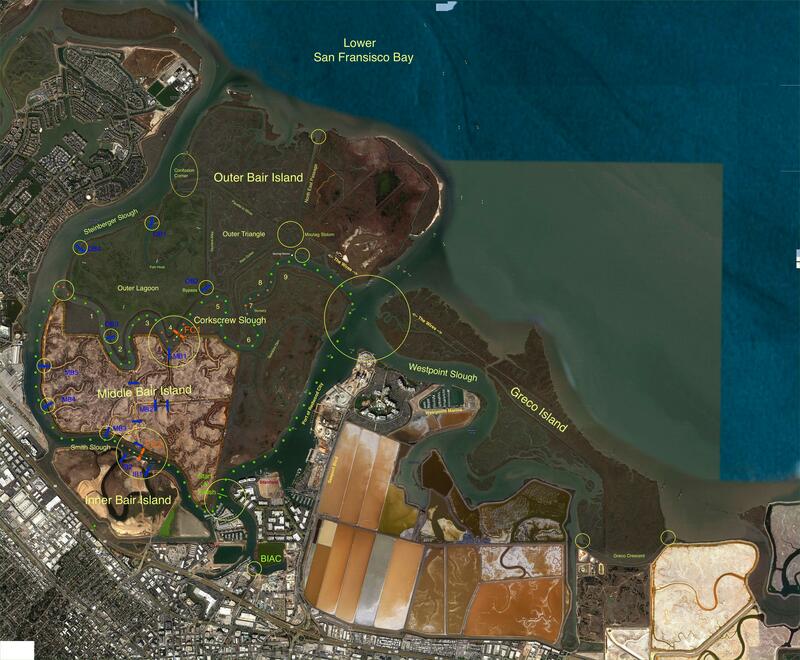 The blue line slanting across the map indicates the high voltage power lines (the "wires"), whose towers straddle the mouth of Redwood Creek where it flows into San Francisco Bay.